Father’s day is on June 21st, and Dads can be notoriously difficult when it comes to gift shopping for them. 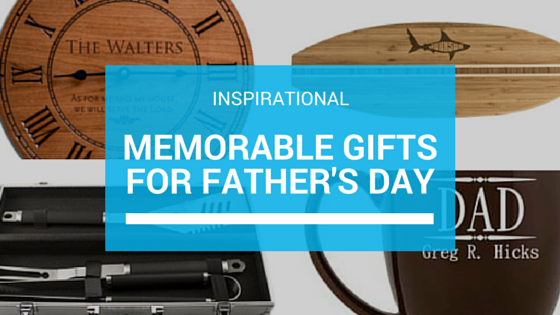 Let me take the challenge off of your “to-do” list and create a unique and thoughtful Father’s Day gift ideas. 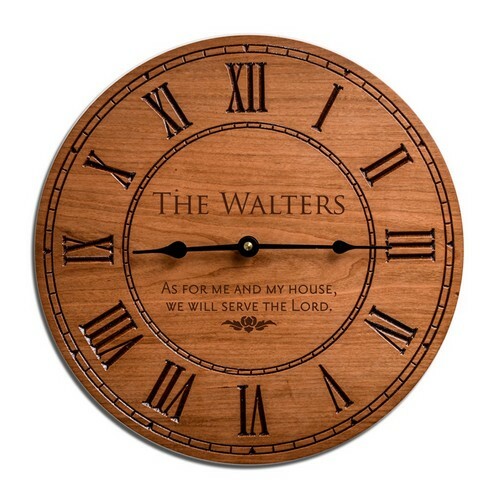 This elegant carved clock will make the perfect gift for Father’s day and recently highly rated and reviewed by Luxe Watches. 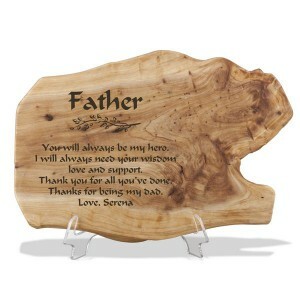 The face and names are laser carved into the surface of the wood, then stained for an absolutely breathtaking result. You get to choose your own sentiment and family name! 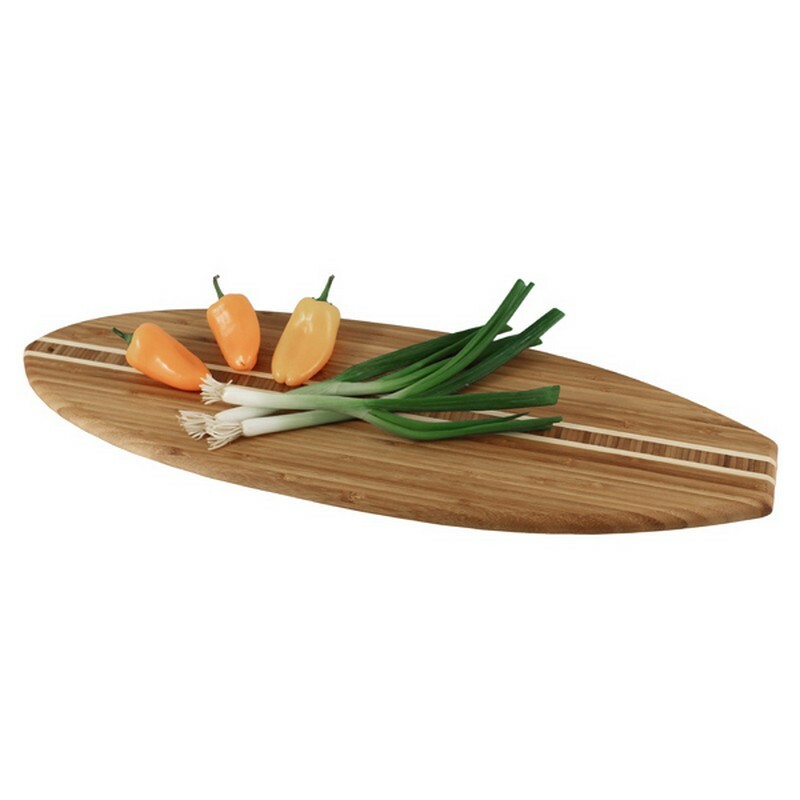 Eco-friendly cutting board is a thoughtful and affordable gift for Dad, This board is constructed of high quality bamboo and is sure to cause a wave of excitement this Father’s day. Just in time for Father’s Day and summer grilling season! 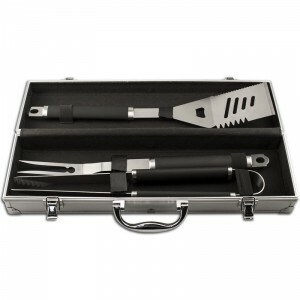 This Blackstone engraved BBQ set handsomely crafted to last. This gift will announce who the worlds best griller Dad is. 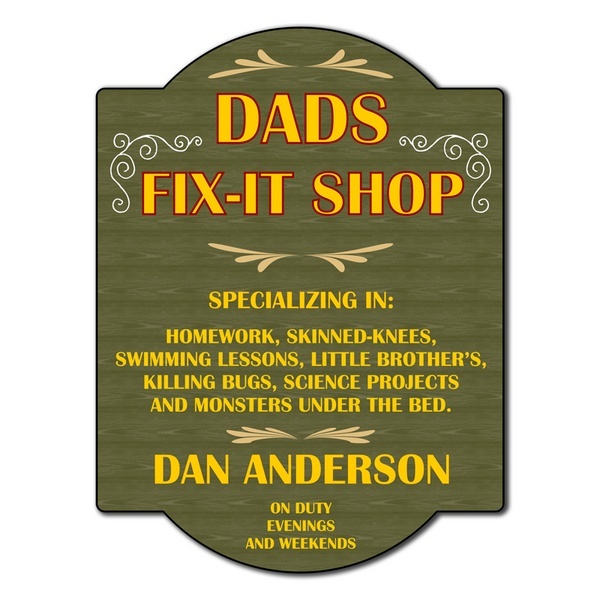 This wonderful personalized plaque resembles the word ‘DAD” and design specially for a unique Father’s Day poem, this gift is a great opportunity to show how much you love and appreciate him with this custom acrylic plaque designs. 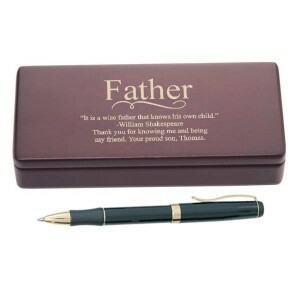 This set is another perfect gift for Dad which includes an elegant case madefrom a quality rosewood with a smooth finish appearance that will help Dad keep his pen safe wherever he goes and give something that has real functionality. 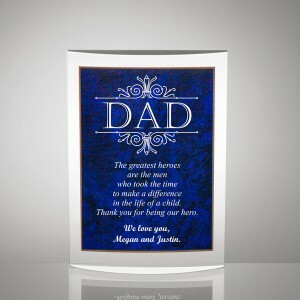 Let your Dad know just how much you care for and appreciate him and all that he has done for you. The wooden plaque is unique in that it is handcrafted and organically shaped reclaimed fir tree stumps. This plaque, like you, is one of a kind. Each of these plaques is completely different due to their natural formed knots and other natural wood. This is a fabulous gift to bestow on your all star Dad. 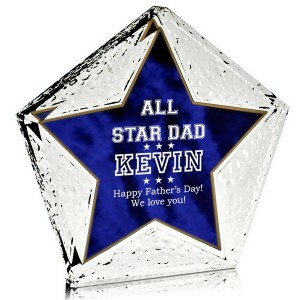 The thick textured acrylic plaque has a blue star in the center, a great design that really says everything you would like to say. You can wish him a happy Father’s Day or let him know why he is so special. 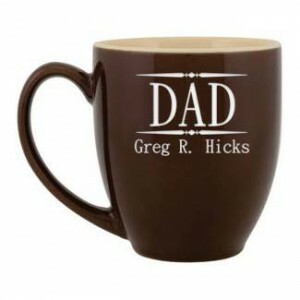 This nice coffee mug engraved with Dad’s name will make his morning tea/coffee all the more pleasant.